Italian Serie B side Brescia Calcio in early August released their new home kit for the 2018-2019 season. 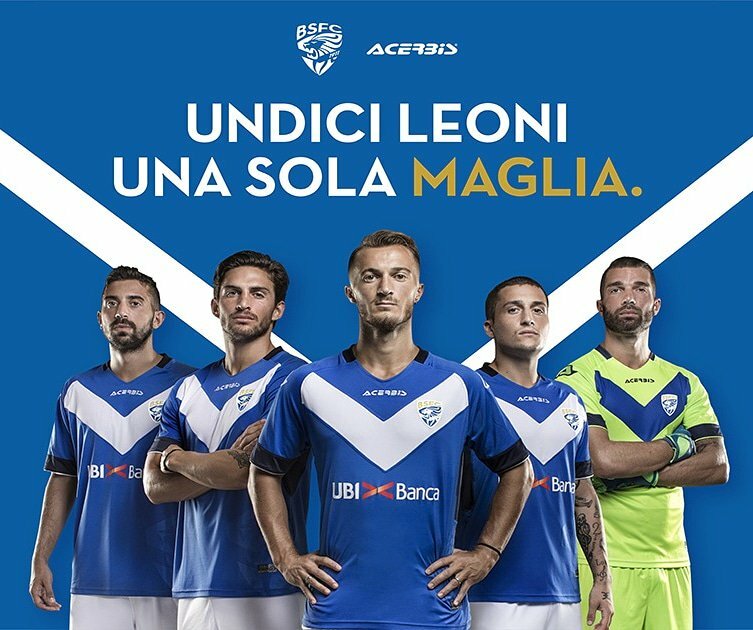 The new Brescia Calcio 18-19 kit is again made by Acerbis. 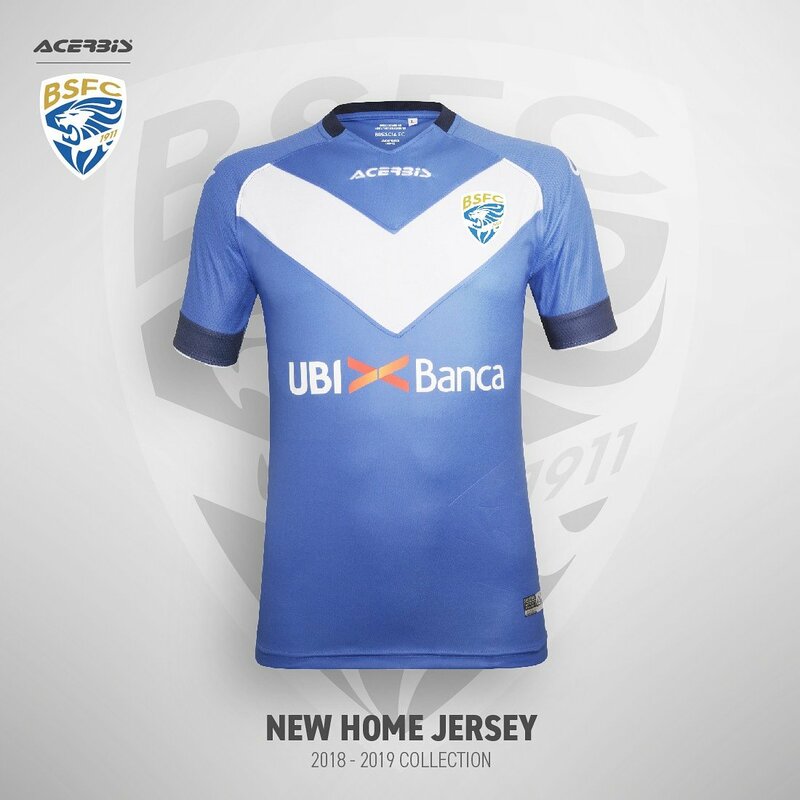 The new Brescia Calcio 18-19 home kit is royal blue with the iconic V-shaped white stripe on the chest. On the bottom, there is an embossed image of the club’s crest. The collar is navy blue whilst the cuffs are also navy blue with the white edge.